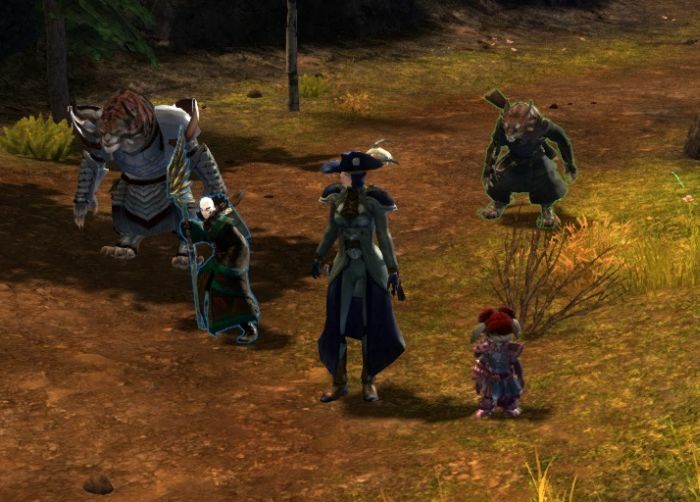 Another Trip to Caudecus’ Manor with the Combat Wombats #GW2 #GuildWars2 – Nomadic Gamers, eh! Ah yes, Caudecus’ Manor. It wasn’t that long ago that the members of Combat Wombats were taking our first stabs at dungeons, and while we may not be the ‘top dog’ type of player, we’re still having a lot of fun. Last night was another dungeon run evening, which is all the more important these days because they’re a requirement for the monthly achievement. I’d almost rather do the PvP achievement than the dungeon one, but that’s got nothing to do with the guild and more a personal preference of my own. We ran the dungeon twice, and while it was easier this round because we knew what was going to be going on for the most part, there have still been some tweaks. For example you can no longer ‘zerg’ fights any more, when you’re dead you have to stay dead until someone else revives you or until combat ends so you can port to a waypoint. I remember when we did Ascalionian Catacombs zerg was an important part of our combat. It will be interesting to see how it works out now. Of course with time also comes knowledge. Our characters are better geared, and we’ve all developed at least some sense of what to do, that just happens naturally over time. I’m still not ‘feeling’ the guardian as much as I had at the beginning. I’ve started playing an elementalist, which is a LOT of fun, and more suited to my play style. Of course the issue with this is that I’ve put a lot of time and coin into the guardian, so switching characters or even simply leveling up another character is not that simple. I’m sure if I can just manage to stick with it for a while the class will eventually become my new main. We’ll just have to see!